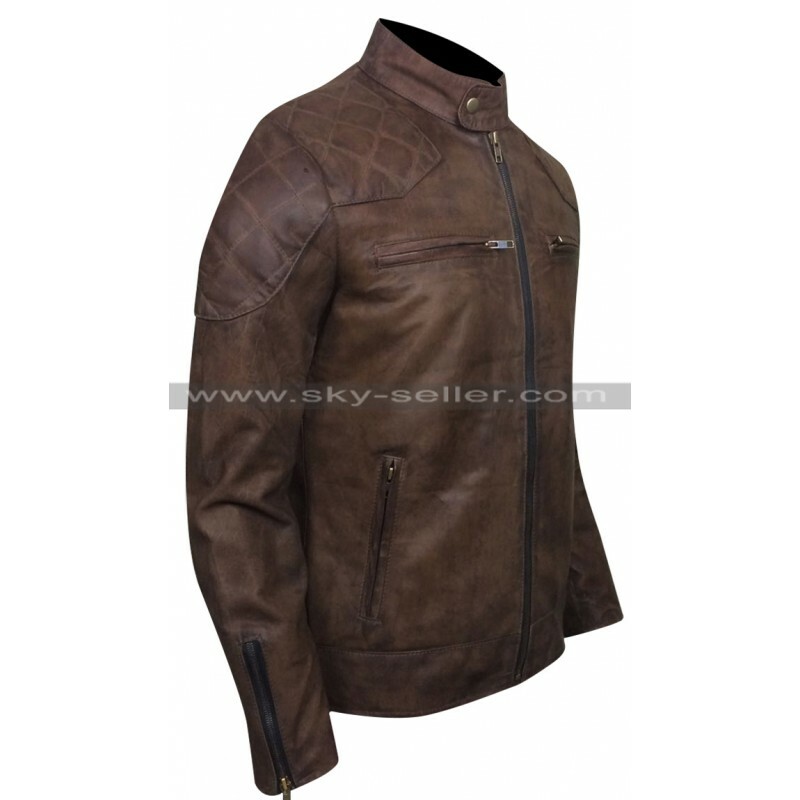 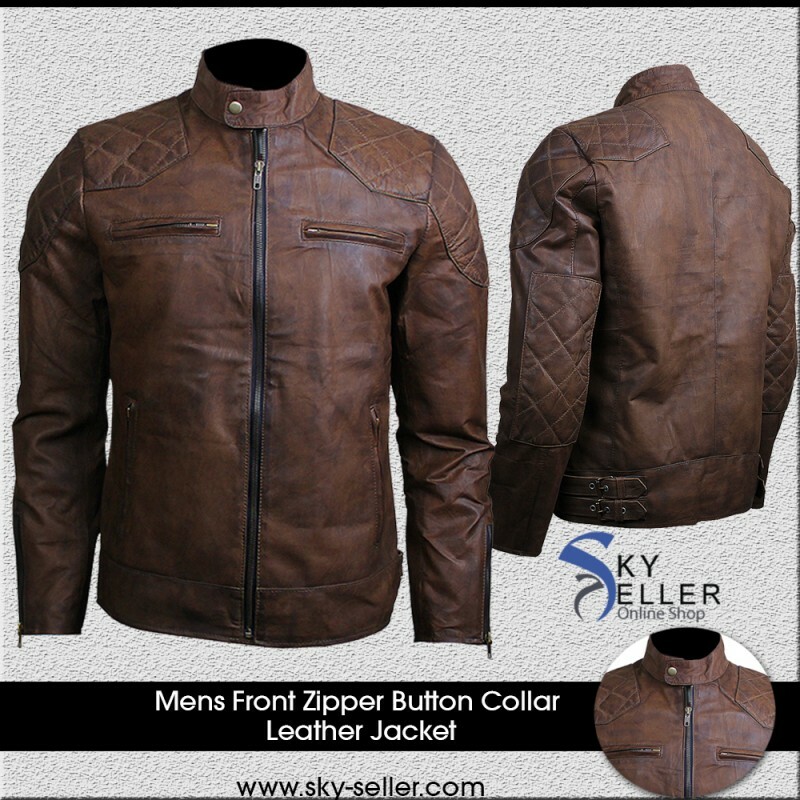 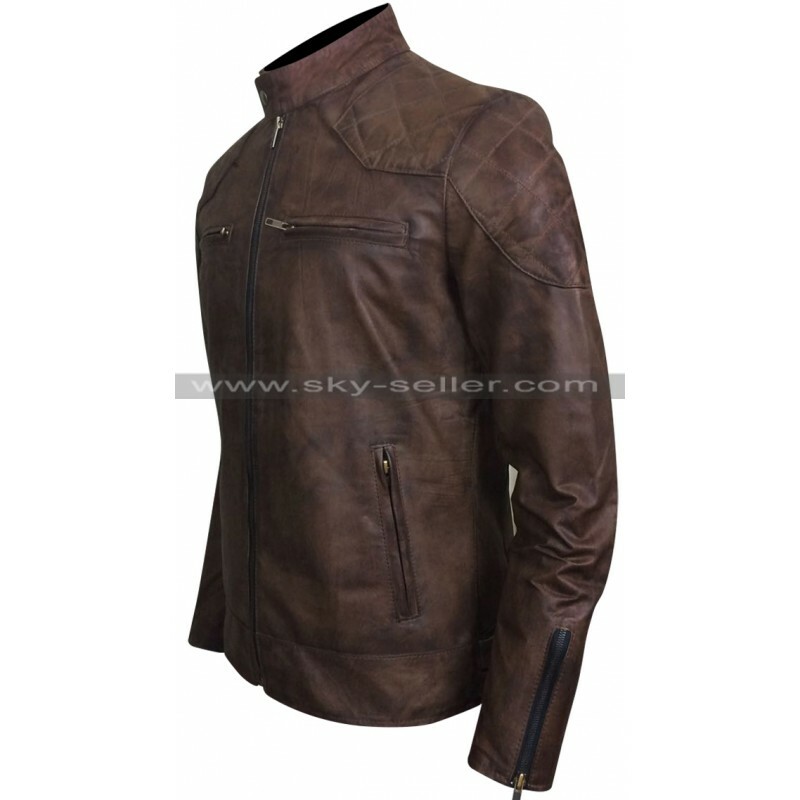 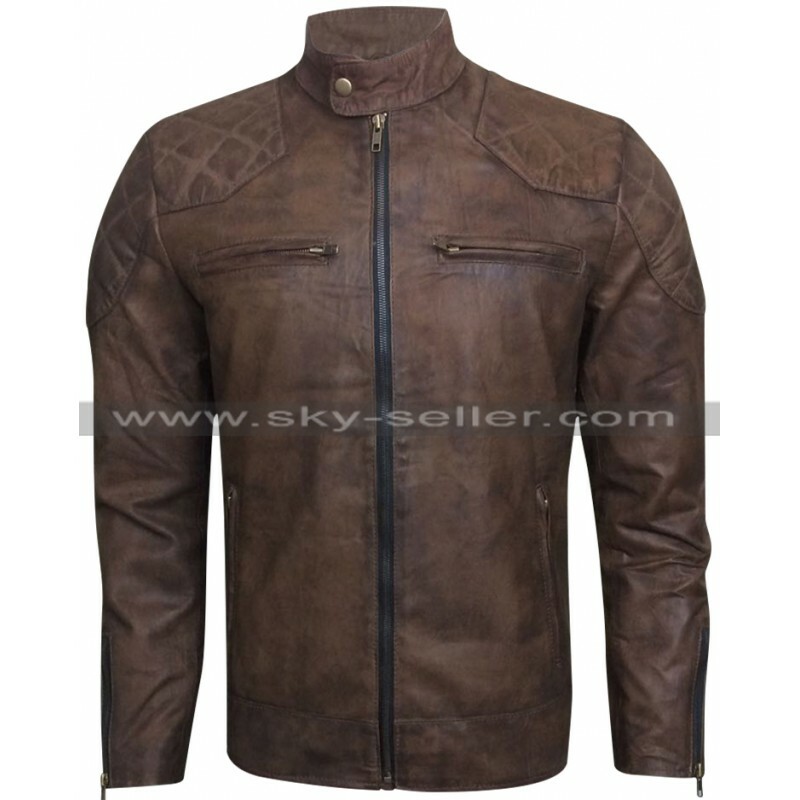 If distressed leather jackets are a weakness for you, do not miss out on the opportunity to own this beautiful distressed leather biker leather jacket. It is going to be a wonderful addition to your wardrobe given its quality and style that is second to none of the jackets being sold in the market. 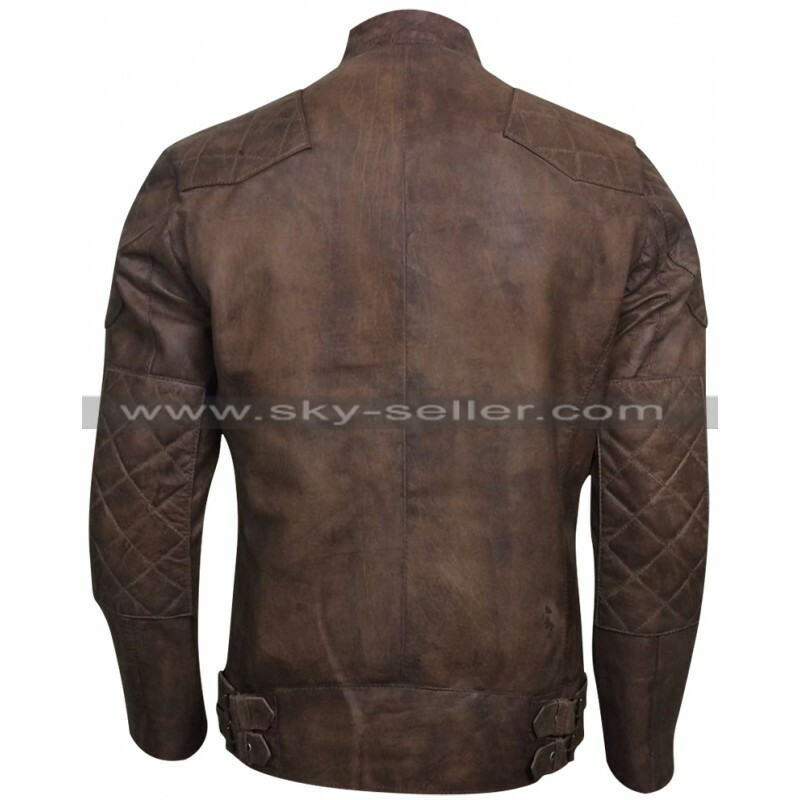 The reason why it is called diamond distressed leather jacket is because of the quilted design that can be seen in the shape of big diamonds on the patches used over the shoulder and the elbows. 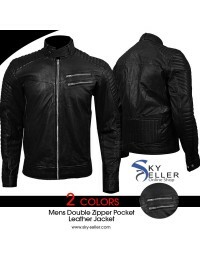 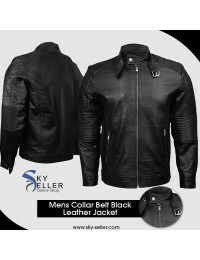 The jacket has a classic design and boasts of timeless and beautiful features like erect collar with snap tab button, welt pockets with zips on chest, and full zip for closure at the front. 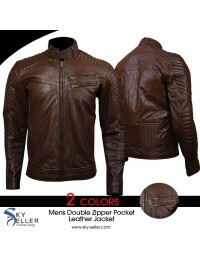 The feature of double leather belts with buckles along the waist adds to the glamour of this superb biker jacket.